VILNIUS, Lithuania (CNS) — For the first time in decades, all of the Catholic bishops in China are in full communion with the pope, the Vatican announced. Pope Francis lifted the excommunications or irregular status of seven bishops who had been ordained with government approval, but not the Vatican’s consent, the Vatican announced Sept. 22. A few hours earlier, representatives of the Vatican and the Chinese government signed what they described as a “provisional agreement” on the appointment of bishops. 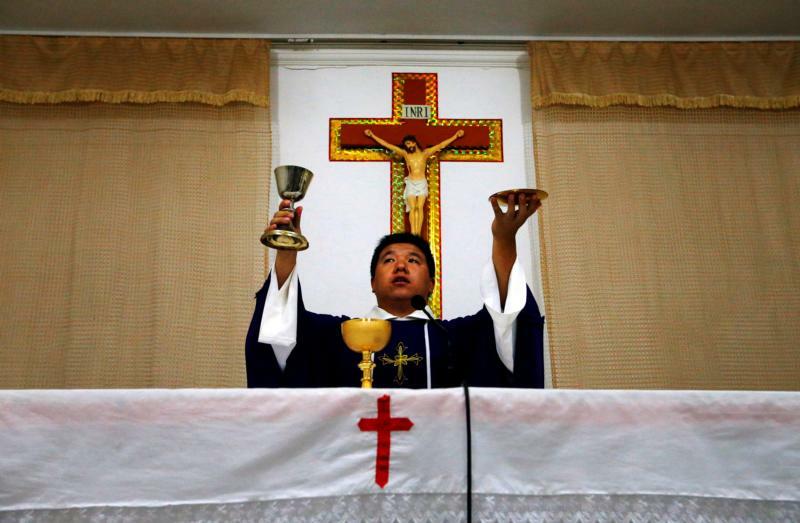 “With a view to sustaining the proclamation of the Gospel in China, the Holy Father Pope Francis has decided to readmit to full ecclesial communion the remaining ‘official’ bishops ordained without pontifical mandate,” the Vatican said, listing their names. The pope also included in the list Bishop Anthony Tu Shihua, who, before dying Jan. 4, 2017, “had expressed the desire to be reconciled with the Apostolic See,” the Vatican said. Regularizing the bishops’ status, the Vatican said, Pope Francis hopes “a new process may begin that will allow the wounds of the past to be overcome, leading to the full communion of all Chinese Catholics,” some of whom steadfastly have refused to participate in activities or parishes under the leadership of bishops not recognized by Rome. The nomination and assignment of bishops has been a key sticking point in Vatican-Chinese relations for decades; the Catholic Church has insisted that bishops be appointed by the pope and the Chinese government has maintained that would amount to foreign interference in China’s internal affairs. Cardinal Joseph Zen, the 76-year-old retired archbishop of Hong Kong, has been one of the rumored agreement’s strongest critics. Although Greg Burke, director of the Vatican press office, said the agreement is pastoral, not political, it is seen as a step in the long efforts to re-establish full diplomatic relations between the Vatican and China. The two have not had formal diplomatic ties since shortly after China’s 1949 communist revolution.